The The Cantina is a restaurant inside Resorts Casino Tunica in Tunica Resorts, Mississippi. Won a bit of money. Talked with some really friendly employees. And had a fairly alright sandwich. It was a good trip. The bathrooms were beautiful! The rooms were clean but slightly dated. Everything in the casino was clean and looked really nice! I would stay there again! We were there Sunday and the buffet was horrible. There was barely any food and what was there had obviously been out for hours. The catfish was cold. The fried chicken and mashed potatoes sucked. The lettuce on the salad bar was brown. On top of that, the hours of operation were supposed to be until 3pm. For whatever reason, they closed the doors at 2pm and refused to let the rest of my bus group in. Very disappointing. Rooms are average, albeit slightly worn. If you are expecting high end Las Vegas style rooms, you will be disappointed. To be honest, I'm not a big fan of the rooms here, BUT: The casino is one of the most friendly I've played in and I appreciate that. I play exclusively table games, Black Jack to be specific and win or lose, the pit has been attentive and willing to comp a meal when play warrants it.. Great place to gamble. 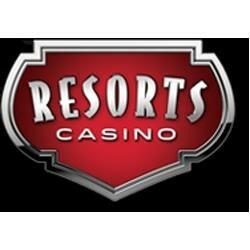 Resorts use to be one of my favorites casino to go to when I went to Tunica. I could usually get a meal free for being a regular member and some free slot play. But now they only send me half price buffet coupons. And when you try to reserve a room, the so called free rooms, they're always Don't have any available. It seems like it's All FALSE ADVERTISEMENT. Especially when you're a loyal playing customer and member. You're playing damn good and can't even get a bonus? Come on now!!! I've started going across the street where the grass is Greener. You might need to follow me. Was nice and clean. Waiteresses do not come around much but was very nice. Resorts is amazing. Location is great. Rooms were very clean and staff very friendly. Small and friendly but not very friendly to your pocket book. Does not let you last very long. Takes your money pretty quick. We had a great experience at Hollywood Casino. The rooms are nice and clean and everyone is very helpful. We will definitely visit again.